CORBETT — This one appeared to be over shortly after returning from the locker room for the second half. 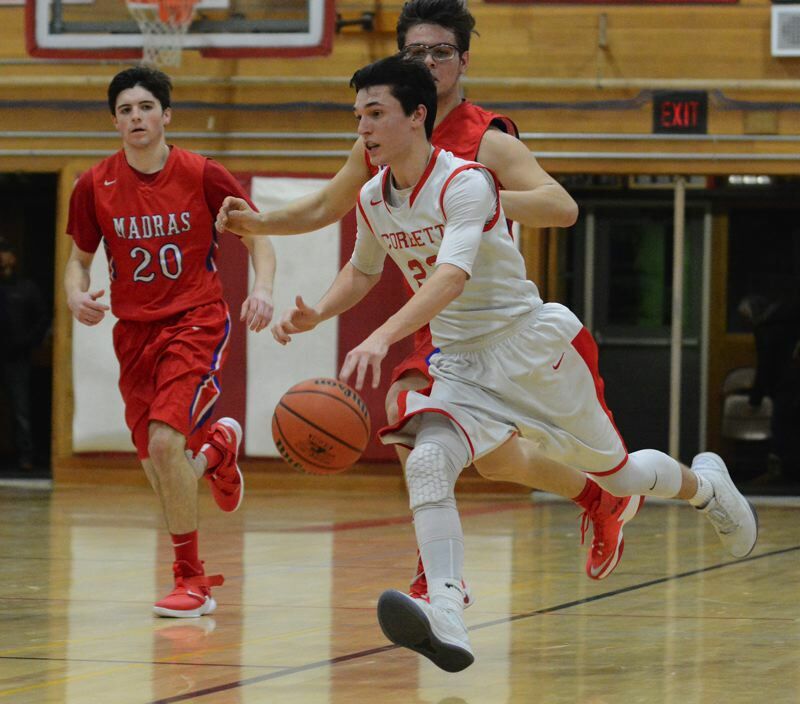 But the Corbett boys basketball team put on a furious run late in the third quarter to turn a 17-point deficit into a one-possession game. 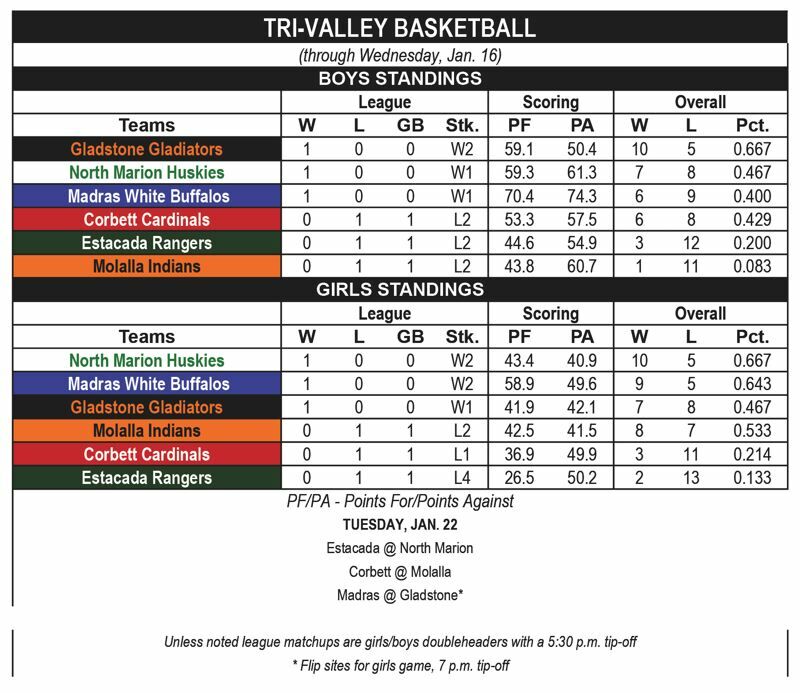 Despite the heroics, visiting Madras would regain control down the stretch to leave town with the 74-61 win to open the Tri-Valley Conference season Wednesday night. 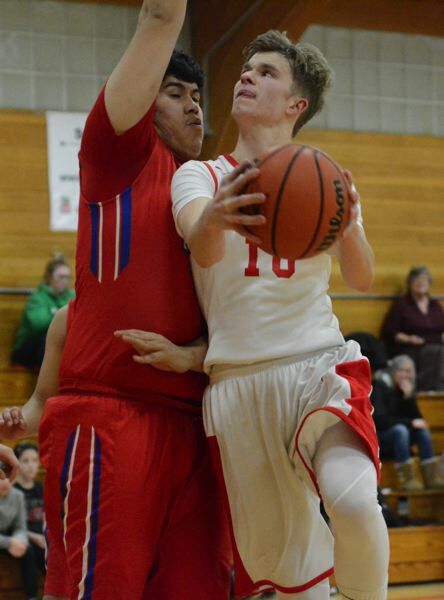 Preston Horvath started the Cardinals' comeback when he faked a deep ball out of the corner and drove the baseline instead for an easy two. Corbett center Cole Rolens went inside-out with a pass to Isaac Dennerline, who dribbled inside the arc and buried a 16-footer. Senior Dylan Paintner got into the action by hitting a pair of free throws on a drive through traffic, followed by a deep 3-pointer from a couple steps behind the arc to trim the gap to single digits. Teammate Josh Newton added another long ball from the top of the arc, Mason Wright scored on a putback at the front of the rim, and Newton grabbed an inbounds pass and took on three red shirts to reach the rim. That capped a 12-1 spurt for the Cardinals, bringing them within two in late in the third quarter. Madras gained some breathing room when Dapri Miller hit a 3-pointer for part of his game-high 23 points. Corbett held for the final shot of the period, but Newton had his 3-point try rejected twice by Chapin Grote as the horn sounded. "I had a feeling he was going to shoot, so I went after it and got the blocks," Grote said. "That gave my team some confidence, and I think it killed Corbett's spirit." Miller took over for the White Buffaloes with a series of isolation plays in the fourth quarter. He knocked down a pair of free throws, scoring on a drive through the lane and sank a transition 3. In a flash, Madras was back in command up 14 with five minutes to play. "My teammates worked hard to open the floor and give me opportunities, and we were able to get back to that up-tempo pace that we like," Miller said. "Corbett is a strong team that is going to make runs at you — we had to be ready to deal with that." 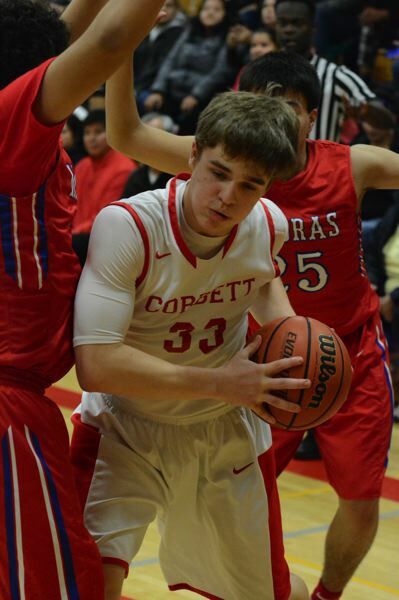 Corbett's last gasp came when Jake Newton poked the ball loose and went the other way, pausing to let a defender fly past before making his final step to the basket for two points. That pulled the Cardinals within 69-55 with 3:43 left, but Corbett was unable to string together a run. Madras (74) — Dapri Miller 23, Bagley 13, Patt 11, Jorgenson 7, Herkshan 6, Heath 5, Mitchell 3, Rhoan 2, Grote 2, Main 2, Morales. Corbett (61) — Spencer Zeise 19, Paintner 13, Horvath 10, Jo. Newton 9, Fundak 3, Wright 2, Ja. Newton 2, Dennerline 2, Rolens 1, Han. This story is slated for our Friday, Jan. 18, print edition.